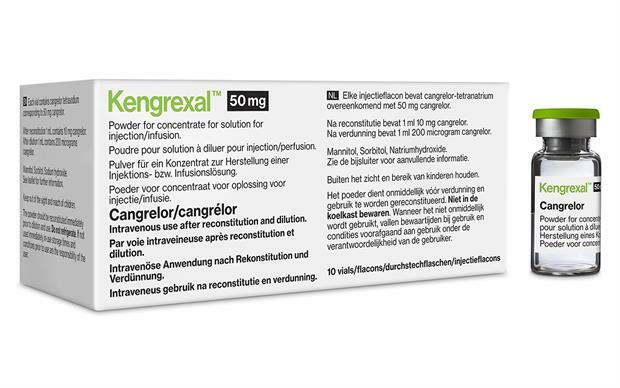 Kengrexal (cangrelor) has been approved to reduce the risk of thrombotic events in patients with coronary artery disease undergoing percutaneous coronary intervention (PCI). Cangrelor (Kengrexal) is the first P2Y12 inhibitor to be administered intravenously. Kengrexal is licensed for use in patients who have not received an oral P2Y12 inhibitor before the PCI procedure and in whom such treatment is not feasible or desirable. Cangrelor is a direct P2Y12 inhibitor that acts as an antiplatelet drug similar to ticagrelor and clopidogrel. Like ticagrelor, it binds selectively and reversibly to the P2Y12 receptor to prevent ADP-induced platelet aggregation, and it does not require conversion to an active metabolite. Onset of action is rapid, with platelet inhibition observed within 2 minutes of dosing. Cangrelor is given intravenously initially as a bolus then as an infusion for at least 2 hours. It must be co-administered with aspirin. The randomised, double-blind CHAMPION PHOENIX study compared cangrelor (n=5472) with clopidogrel (n=5470) and showed that cangrelor significantly reduced the primary endpoints of all-cause mortality, myocardial infarction, ischaemia-driven revascularisation or stent thrombosis within 48 hours by 22% compared with clopidogrel (95% CI 7-34%, p=0.005; absolute risk reduction 1.2%). There was no significant difference in the rate of severe bleeding within 48 hours between the cangrelor and clopidogrel groups (0.16% vs 0.11%; odds ratio 1.50; 95% CI 0.53-4.22; p=0.44). 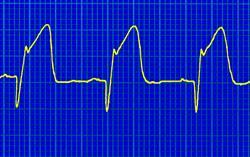 The most common side-effects of cangrelor are mild to moderate bleeding and dyspnoea.